Whitman-Whitman-Hanson Regional High School announced today the hiring of Dave Fouracre as its new varsity baseball coach. Fouracre, who was elected to the Massachusetts High School Baseball Coaches Hall of Fame in 2003, was the head coach at Brockton High School from 1988 to 2005 during which time he led the Boxers to a 237-151 record. In 1997 his Brockton team won the Division 1 state championship while 13 other teams under his direction advanced to the state tournament. His teams also won 7 league championships. Fouracre, who is a retired public school teacher, has spent the last 6 years coaching college baseball, most recently at the University of Massachusetts at Dartmouth. He has also coached at Bridgewater State University and Curry College. In addition to his tenure at Brockton High School, he also was the varsity baseball coach at Oliver Ames High School from 1982-1987. In his high school coaching career, he has had 6 players selected in the Major League draft and 118 continue their playing careers in college. In 2006, Fouracre was elected to the Brockton High School Hall of Fame and in 2005 he was named the American Baseball Coaches Association Regional Coach of the Year. “Dave is the perfect fit for our program at this time and I know the kids are in for an incredible experience this spring,” Rodgers added. 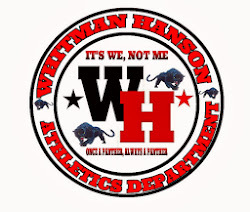 Whitman-Hanson competes in the Keenan Division of the Patriot League.